One of my favorite things to eat since starting the ketogenic diet is a bacon cheeseburger bunless burger, but sometimes I like to switch it up a bit. 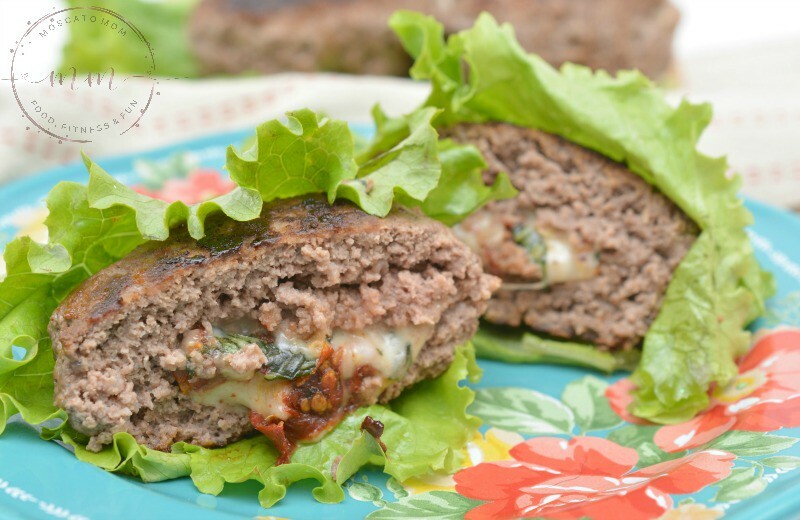 These Keto Caprese Stuffed Burgers are perfect! 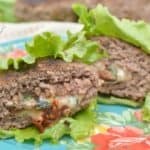 To give even more flavor to these keto stuffed burgers I used sundried tomatoes instead of fresh tomatoes – but you can really use whichever you prefer. 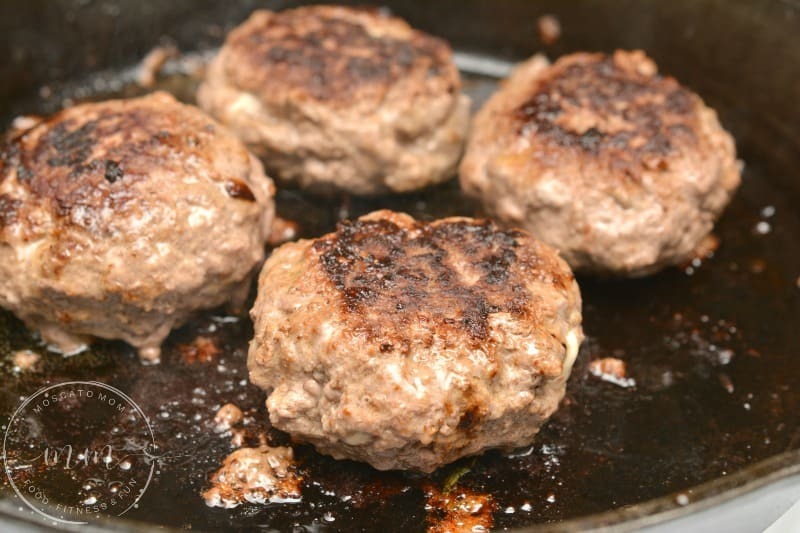 This recipe makes 5 burgers – which is perfect for meal prepping for the week. 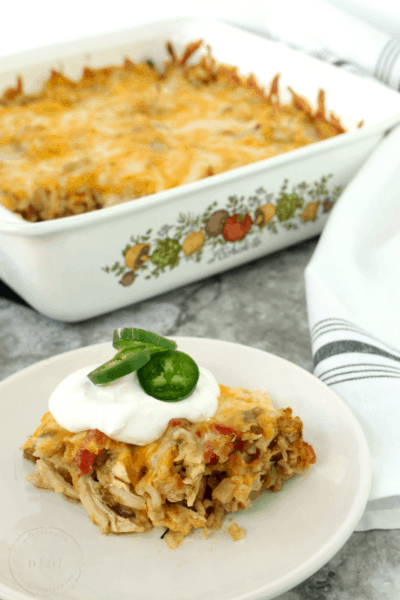 To reheat simply cut a hole in the middle (or slice in half) and wrap with a wet paper towel. Microwave for 30 seconds until you reach the desired temperature. The paper towel should prevent your burger from drying out. That is a pretty keto pie chart! I love all things caprese and love that it is keto friendly! I even have my girls loving it once I got them hooked on this caprese appetizer – how cute are those ladybugs!?! 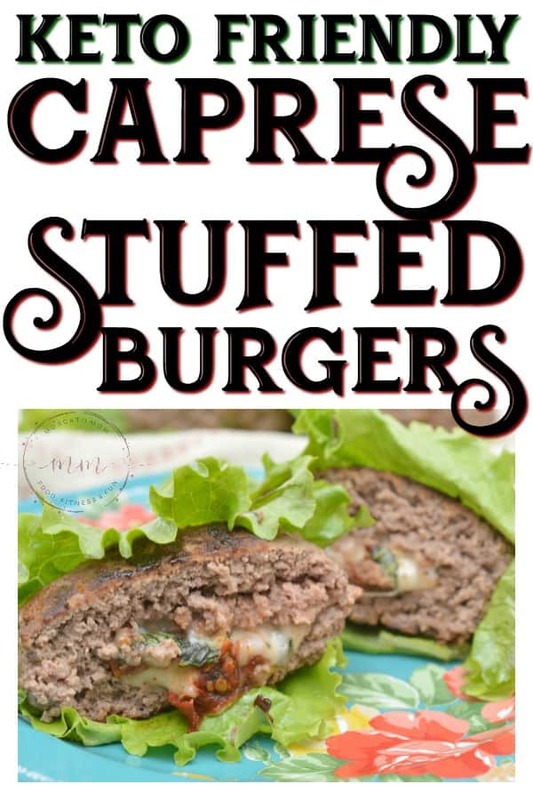 I hope you enjoy these Caprese Stuffed Burgers and be sure to check out all of my other Keto Recipes! 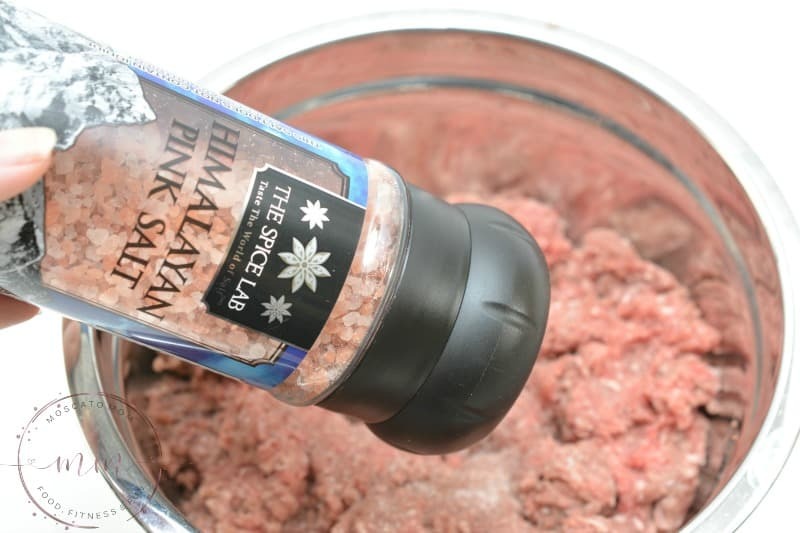 Place the 2 lbs of ground beef into a large mixing bowl. Sprinkle in 1 teaspoon of garlic powder. Pour in 1 tablespoon of balsamic vinegar, and then mix the meat well using your hands. 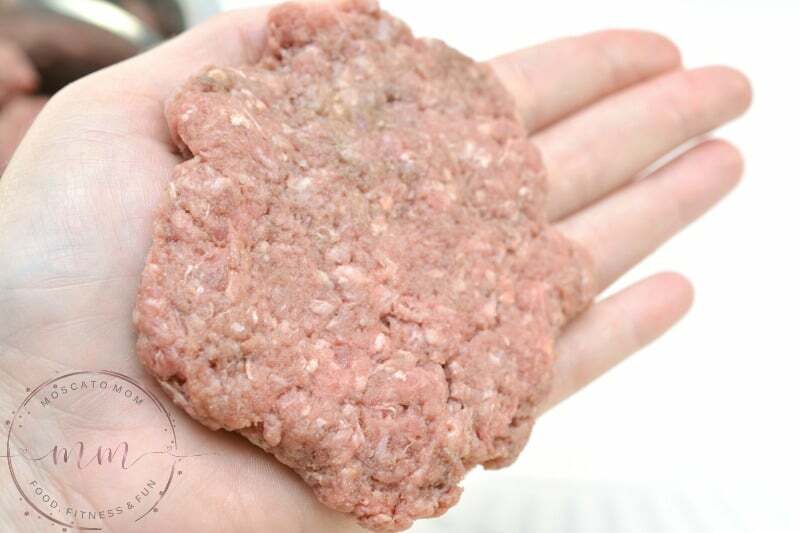 Form a beef patty in the palm of your hand. Cup your hand slightly and push down into the center to form a sort of bowl in the middle of the patty. 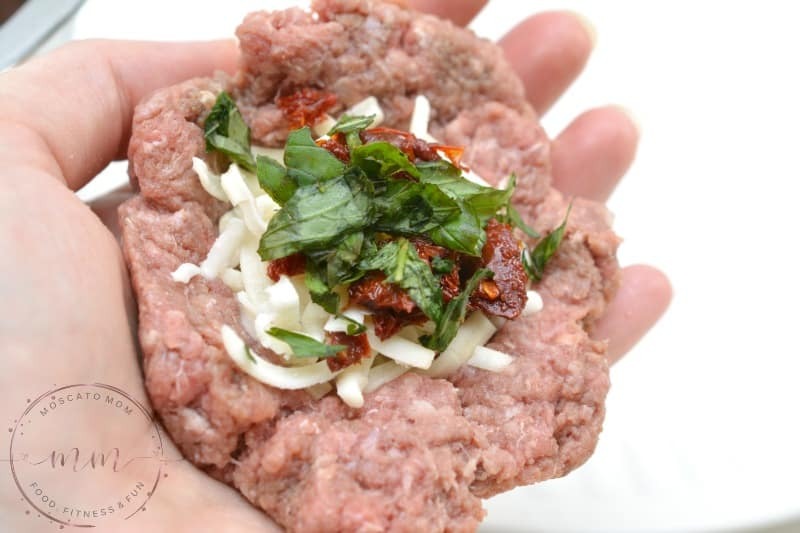 Fill the center of the patty with a bit of mozzarella cheese. Top the cheese with some chopped sundried tomato and fresh basil. Place another pinch of mozzarella cheese on top, and then form a second smaller beef patty to fit on top of the fillings. Shape the edges of the patty together so that you have a nice stuffed beef patty with none of the fillings showing through. 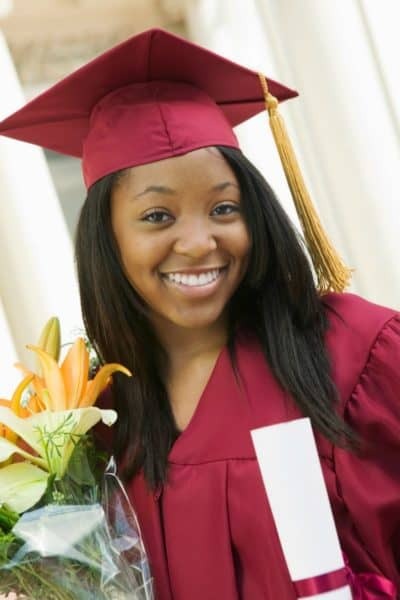 Continue steps 5-8 with the remaining ground beef and fillings. When you are finished, you should have five equal stuffed patties. Heat 1 tablespoon of olive oil in a large skillet over medium-high heat. Add the patties to it once hot, and cook them for about 5-6 minutes on each side, or until your desired level of doneness has been reached. 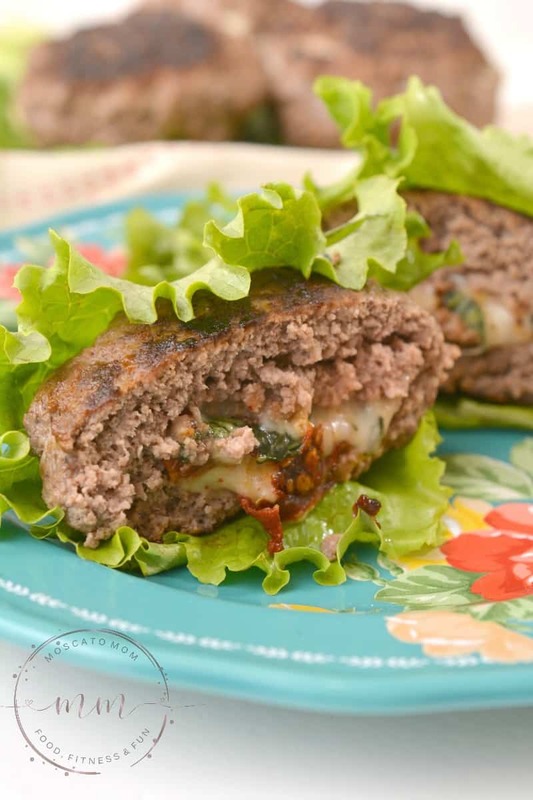 Wrap the burgers in lettuce leaves, slice in half, and serve with your favorite toppings or condiments. LOVE IT? PIN ME FOR LATER!